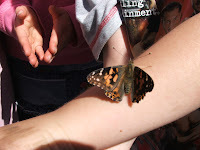 We were watching the cocoons in our Butterfly Garden for about two weeks. 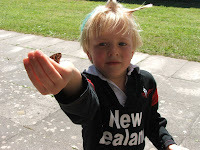 Eventually, one morning when we came into school, we noticed one of the butterflies had come out. Its wings were still damp so it could not fly yet. 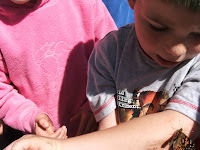 When all five butterflies came out we fed them bits of orange and banana as well as water and sugar. We released them on Friday the 29th of May. We were a little sad but happy to see them fly away. 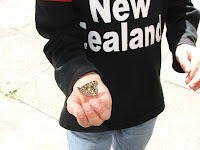 We still watch out for the butterflies when we are outside.